Dual-Layer: Hard PC Back (Exterior) + soft TPU (Interior) protects your iPhone all around. 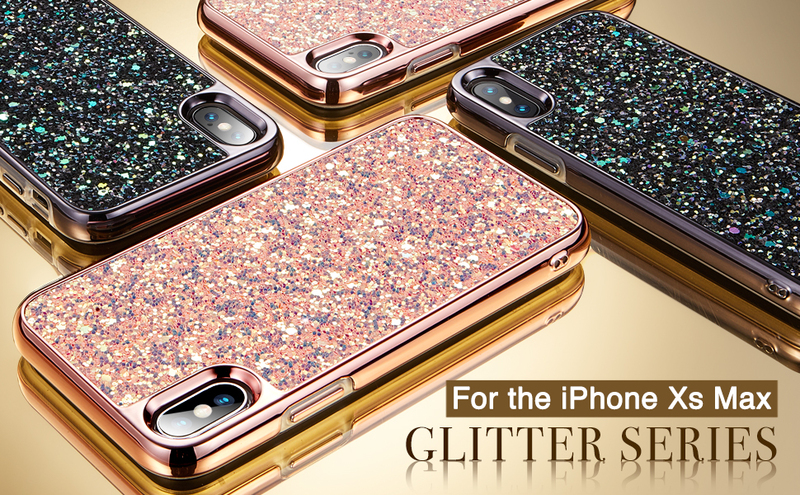 Colorful Glitter: The case changes colors when viewed from different angles. The glitter pieces on the back of the case won’t fall off. Screen & Camera Protection: Raised edges help to protect your screen and camera from rubbing against flat surfaces. Compatible with Wireless Charging: Conveniently charge your phone without removing the case. Q1: Is it soft on the outside or hard plastic? A: It is a double-layer case. The outer layer is Hard PC and the inner layer is Soft TPU to protect your iPhone all around. Q2: Does the sparkles falling off easily? A: No, the sparkles on the back are solid, they won’t fall off easily. Q3: Is there a protective lip on the front of the case? A: Yes, this case does have a small raised lip on the front around the screen and on the back around the camera. This keeps the screen and camera lens from directly touching flat surfaces. Q4: Do I need to take off the case when I want to charge my iPhone? A: A precise cutout for the lightning port leaves ample room to use most charging cables. The product is great and absolutely recommended! Looks cheep. Not as I imagined. I love this case. I have referred several people here to buy this case. I’m always asked questions about it when I’m out and about.